So, I said I wouldn’t be back until 2015. 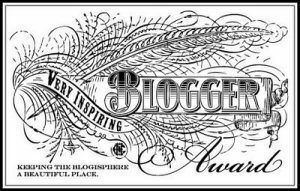 But before I logged off WordPress, I read that Andy Mulberry (an author of middle grade stories) nominated me for the Very Inspiring Blogger Award! Holy-moly…and THANK YOU Andy!! !